Elżbieta Sikora, artistic director of the Musica Electronica Nova 2011 festival, takes us through the complexities of this year’s edition. She explains the difference between Acousmonium concerts, tells us how to play music with the use of a car and about Karlax. The composer also reveals her plans to stay in Wrocław for longer. Wojciech Sitarz: What is the status of electronic music in France? Are Pierre Schaeffer and François Bayle recognizable to the average Frenchman? Elżbieta Sikora: I think that Pierre Schaeffer is still very famous. Pierre Boulez too but his name is not only associated with electronic music. For sure Pierre Henry and François Bayle are also recognizable. Recently, artists and audiences of popular music have been interested in their achievements. Techno and noise currents considered Pierre Schaeffer as their founding father and they have adopted certain terminology. We, the followers of classical electronic music, are mad about it. If you look at the list of concerts in Paris, you will find a lot of presentations of “electronic music”. These won’t be concrete or IRCAM music concerts, however, but compositions of pop music. Does the popularity of these trends translate into an interest in classical electronics? It depends on certain social circles. The season of the Groupe de Recherches Musicales lasts from September to June and includes at least 15 concerts; all the concert halls are full. Additionally, we will hold the well-known Festival Présences Electroniques. Also IRCAM has its own festival, Agora, attracting a large audience. 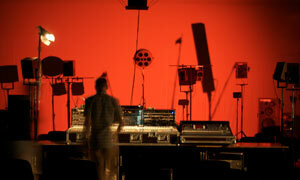 Was the choice of France as a central theme of this year’s Musica Electronica Nova your idea? It is mine but when the Polish Composers’ Union and the city of Wrocław suggested that I become the artistic director, they surely knew what it meant. I have lived in France for many years. I compose there. I know Parisian environments very well and I consider them the best in the world. I presented a preliminary outline of the programme, which was later improved with the programme board composed of: Monika Pasiecznik, Krzysztof Knittel, Jan Topolski and Sławomir Kupczak. They are mostly very young people who had some very interesting suggestions. Thus the idea of Innocent Barbarians came into existence. I suggested three festival key words: “interpretations, integrations, interactions”. “Interpretation” is especially interesting. 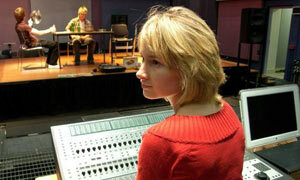 Little is said about the possibility of interpreting electro-acoustic music. However, there are schools of electronic music performers and the French are the precursors in this field. It is worth mentioning that electronics is not only the matter once recorded on tape and much more can be done with it. Who are the invited artists you are most happy with? An important point will certainly be the INA/GRM concert, which is one of my favourites, just like the arrival of Bruno Mantovani to play a symphonic concert with IRCAM. I welcome the arrival of Pierre Jodlowski, who is the special guest of MEN 2011. I am also very keen on the MOTUS course in the interpretation of electro-acoustic music. An important new trend is the Innocent Barbarians cycle presenting music from a completely different angle. 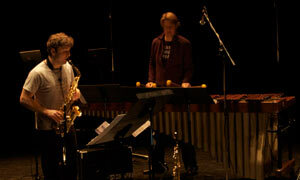 The lighter side of the festival, Eivind Aarset on Saturday, is also worth mentioning in the end. These are the points on which the festival is based but a lot of interesting things will be happening between them and you need to choose something for yourself. 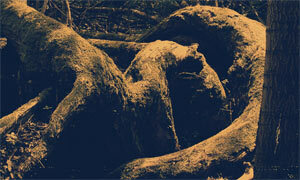 The festival will begin with the installation exhibition of the “Passage” by Pierre Jodlowski. What kind of piece of art is it? 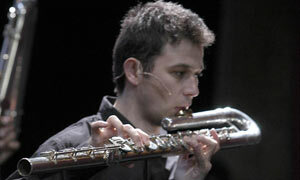 Pierre Jodlowski is a representative of the younger generation of French composers. He was invited as the major star of the festival. He works in many fields. He is a performer of music but he also creates visual arts. 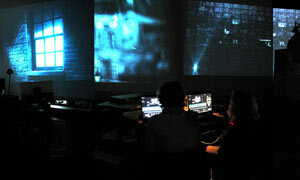 “Passage” is something between a work of visual art and a music concert. People walk through the installations and the way they move determines what they hear. The presentation is planned in cooperation with Biennale WRO and it will be available in the arcade of the Muzeum Pana Tadeusza for the duration of the festival, starting on May 13. 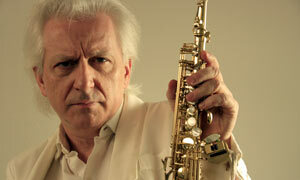 Jodlowski is appearing as a performer on May 17. 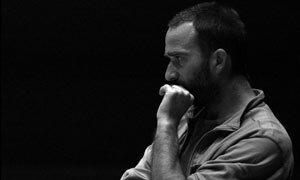 We are presenting his composition “Music, Violence and Others Stories.” It is a kind of musical theatre, where Jodlowski himself is the actor. It turns out that he has a great talent for acting and he has planned it well in terms of dramatic qualities. This is another aspect of his work, where the artist reigns over the body of the work during its execution. We will also listen to many of his other pieces. This concert will be a part of the Acousmonium trend. What kind of project is it? It will be an INA-GRM project; INA-GRM has created the “orchestra of speakers.” We will present it at two concerts in one day. We decided that since we are coming with so much equipment, it must be used to its fullest. The Acousmonium allows you to manipulate sound, spreading it freely in space. It is important how the composition is interpreted by the contractor because, depending on how it is played on the console, you will hear an especially dynamic version of the spatial sound quality of that piece. Constructing the programme, I assumed that each participant should also perform a Polish composition. That evening Eugeniusz Rudnik’s composition (he is our classic composer) and Katarzyna Głowicka’s pieces will be played as well. The Acousmonium will be presented twice, at the Opera and at ul. Krakowska 180. What is the difference between these two concerts? In the opera, we will see GRM with Pierre Jodlowski and hear the classics of the genre, François Bayle and Bernard Parmeggiani, but also the latest pieces will be presented. The concerts at Krakowska constitute a different Acousmonium. 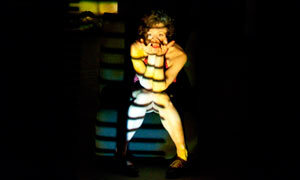 MOTUS will show us their own approach to the subject. They specialize in interpretation, but also in the pedagogy of interpretation. Hence, the Courses in the Interpretation of Electro-acoustic Music. Who are these workshops addressed to? 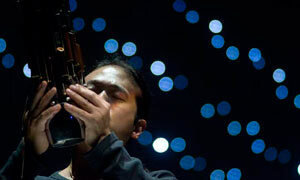 They will be open classes addressed to musicians and composers who want to deal with electronic music. We want to make people realize how much can be done. 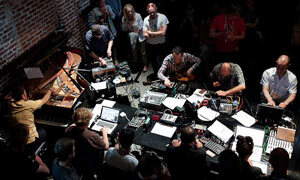 Students will be able to see the essence of electronic music interpretation. A lot will be going on from day one. 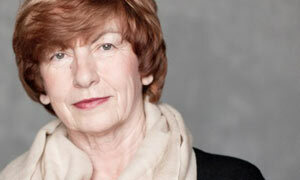 The opening concert will be a performance by the harpsichordist Elżbieta Chojnacka. She is a legend of the harpsichord who does not need any further introduction. 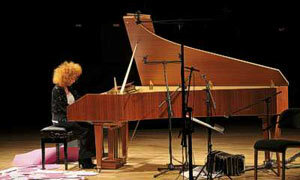 Thanks to Elżbieta Chojnacka, the harpsichord has entered contemporary music and electronic music for good. She almost exclusively plays pieces written especially for her. She has been the initiator of many compositions. She will present various trends, from experimental ones to more polished compositions. We will hear a very significant piece entitled “Programme Commun” by Luca Ferrari for harpsichord and tape, and a spectacular piece by Stephen Montague. Tom Mays will also perform on the 1st day. He will play a very unusual instrument. What is the Karlax? I very much wanted to show that instrument, because it’s a completely new thing, and Tom Mays can handle it very well. I discovered the Karlax two years ago at the convention of electro-acoustic musicians in Nice. It is just amazing because it allows you to manipulate a very large number of parameters live. It all depends on what the musician has pre-programmed, as the Karlax is just a relay between the performer and a computer program. 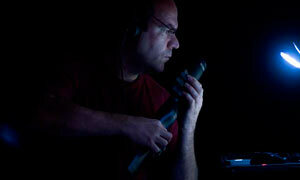 It can process light, the artist’s movements and sound. Additionally, the Karlax is very ergonomic and allows you to play it like a real instrument. Its shape resembles a flat clarinet and everything is controlled by radio waves, no cables. 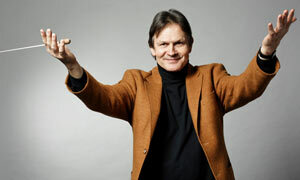 We will also see the chamber opera “Martha’s Garden” by Cezary Duchnowski. What kind of piece of art is it? “Martha’s Garden” had its première two years ago at the Warsaw Autumn festival. I went there with a view of bringing it to the festival, and the director Ewa Michnik was also eager to stage the opera, so we connected the première with the festival. “Martha’s Garden” lasts only an hour, so for the time of the festival we included another work on stage. Its author, Dieter Kaufmann, is a worldwide known senior in the world of electronics. The piece involves a dancer, and the video serves as a decoration. Also a car will become an instrument. GPS-Trans is a project by Marek Chołoniewski. He is constantly developing and will present one of his first-time performances. 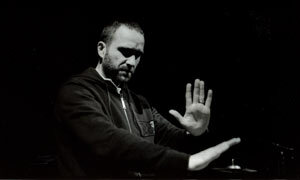 Images and sounds collected by the car will be directly transmitted and interpreted live by instrumentalists, and then processed by Marek Chołoniewski on his computer. 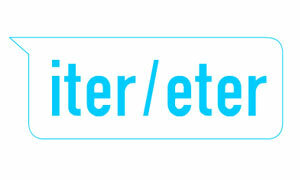 This project most strongly manifests the motto of interaction. 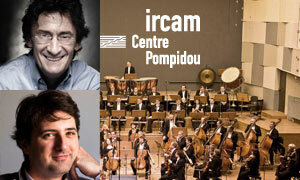 You mentioned the GRM concert, but the programme also features IRCAM music for symphony orchestra. That will be Bruno Mantovani’s composition for the orchestra with transformations live. I wanted to show it because we have a fantastic orchestra in Wrocław and it would be a waste not to use it. This is an important point of the programme, because electronic pieces for symphony orchestra are very scarce; I suppose there are not more than ten altogether. I went up to IRCAM to present my idea, willing to bring “Le Livre des illusions” by Bruno Mantovani here along with Jonathan Harvey’s new composition, “Speaking.” For purely technical reasons, I managed to complete only the Mantovani project, but maybe in two years we will bring you the Harvey composition. 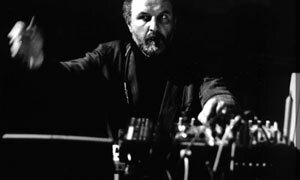 We will also show the première track by Stanisław Krupowicz entitled “Computer Concerto”. . I hope that on this occasion we will present more Polish art, because the concert will be broadcast and recorded by Polish Radio. The programme also includes a composition by György Ligeti, “Lontano”, which is a purely orchestral piece but was written in an electronic way, so you sometimes have the illusion of listening to electronic music. 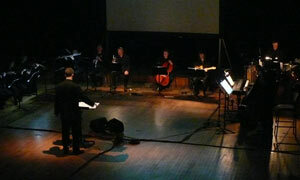 The festival closes with Eivind Aarset and the Sonic Codex Orchestra. What kind of concert will it be? We wanted to finish off with a lighter accent addressed especially to younger listeners, to show how classical electronic music permeates many areas of popular music. The whole of Saturday will be devoted to combining these trends. We are planning two outdoor concerts in Mieszczański Brewery. First the Wrocław composer, Paweł Hendrich, will show us a joint project with the band Digit All Love. 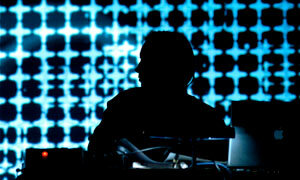 Eivind Aarset, a star using electronics in his creations, will perform at the end of day. In between we will listen to the première work by Pierre Charvet. Until now, each edition of Musica Electronica Nova had a distinct artistic director. You mentioned, however, importing the composition by Harvey in 2013. Does this mean that you will continue managing the festival? I was asked to continue working on the next edition. For me it was a big surprise but also a pleasure. Despite the difficulties we always encounter, I accepted it. Will the future edition also be devoted to France? This time I am thinking about the music of the North, American, Norwegian, or Lithuanian music. It is too early to speak about the details, but I want to show the combination of electronics with movement, ballet and other theatrical activities.